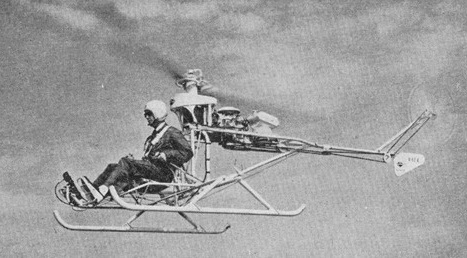 In 1954 Goodyear Aircraft Corporation produced a single-seater helicopter intended for the tactical requirements of transporting one man only. 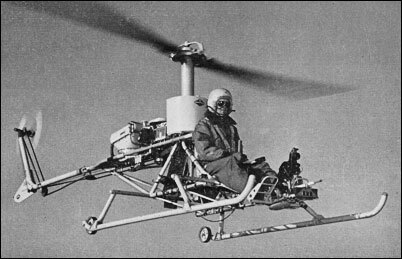 This single-seater open-frame ultra-light helicopter, designed by Paul Ziegler, is powered by a water-cooled, two-cycle engine driving the rotors through a belt and pulley arrangement. The main rotor consists of two laminated blades balanced about the feather axes and mounted in a steel hub underslung from a teetering hinge. The airframe is constructed from welded tubing, and the landing gear is formed of parallel aluminium skids. The first flight took place on 9 May 1954 (N62N). 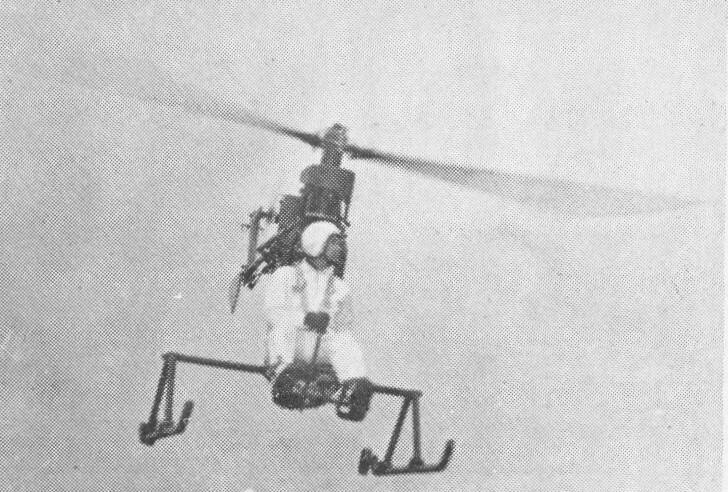 Designed by Paul Ziegler, this prototype was designated GA-400R Gizmo, with the pilot seat on the forward frame, a narrow tailboom with a tail rotor and the 32hp Mercury 55 engine mounted amidships and driving a two-blade main rotor. It was followed by the GA-400R-2 and GA-400R-3 (N69N and N53A) which were powered by a 38hp Johnson two-stroke engine. The GA-400R did not progress beyond prototype stage. Rotors: 2-blade main; 2-blade tail.